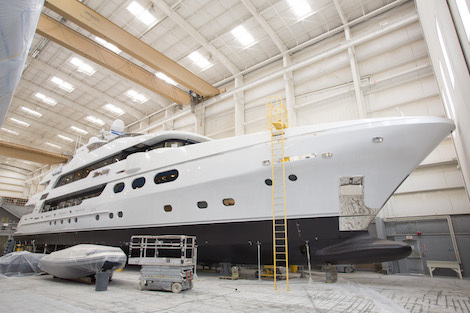 Following a period of uncertainty for Christensen Yachts – and greater uncertainty for the larger US new build market - the US shipyard is now officially marking its re-entry to the market with two 50m launches. Both M/Y Silver Lining and Hull 40, soon to be christened M/Y Chausseur will hit the water by the end of the week and embark on an extensive period of sea trials prior to delivery. 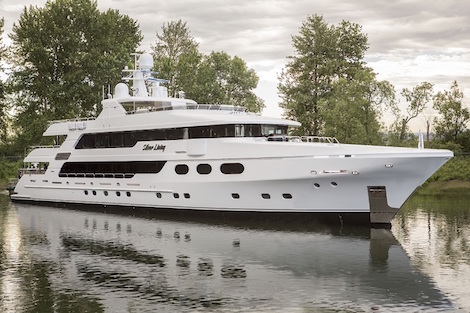 Silver Lining is the first of the two to be introduced to the water having been launched on 20 June, from the Christensen facilities in Vancouver, Washington. The 50m motoryacht was penned by the in house Christensen design team and incorporates a number of Christensen’s trademark design traits, such as the three forward oval windows. The interiors, however, were designed by the Vancouver-based studio, Varo Designs, which has had a close affiliation with the shipyard for many years. The studio has created a traditional interior with high-gloss black walnut throughout. Christensen’s second yacht, 50m Chausseur, is scheduled to launch four days after Silver Lining on 24 June. 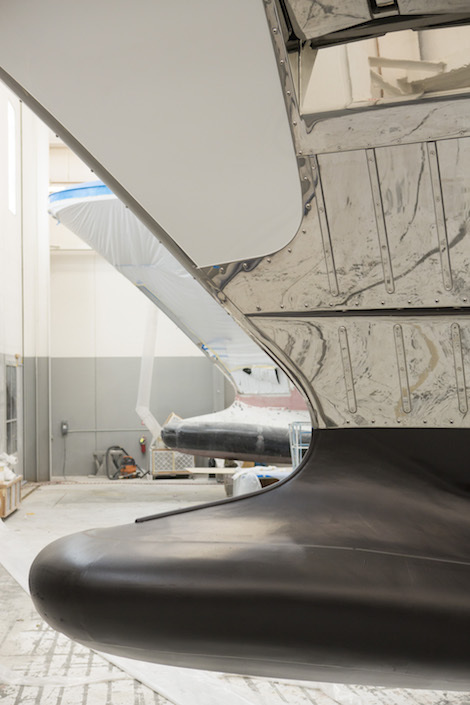 Much like Silver Lining, the yacht was designed by the in house design team at Christensen and the interiors have also been created by Varo Design. Chausseur will have six staterooms, including a full beam master, VIP cabin and four queen guest cabins with Pullman berths. 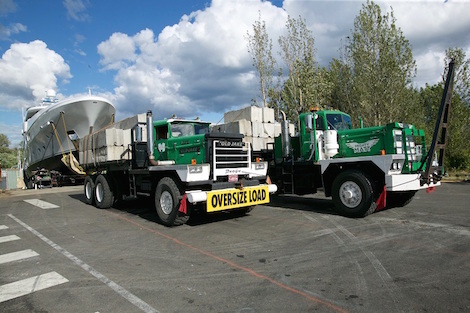 Both launches are taking place with Christensen’s innovative new launching system that uses self-propelled steerable dollies and large dry dock-like stern launch structure, which enhances safety and all season launch capacity. “We named it the Luken Launcher,” says Jim Gilbert, Christensen’s president, naming the system after the company’s chairman Henry Luken. The keels of the two yachts were laid back in 2014, however due to the financial problems Christensen faced in 2015 construction was halted until further notice. “The previous company was forced to close its doors for seven months until it could be reorganized under new ownership, which purchased the company’s assets out of receivership and reopened in July of last year,” comments Gilbert. 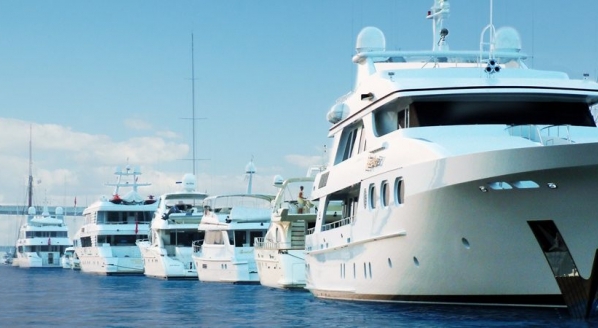 Both yachts have been built for American owners, both of which are repeat Christensen clients. There are also two additional 50m yachts under construction at the shipyard, both of which are available for sale and can be delivered within 24 months.